Which is the best shark vacuum cleaner? This is the question we’ve asked ourselves many times, and we are sure that you have as well. So we’ve put together this shark vacuum buying guide to help settle it once and for all. Here are some things you should know before we start comparing, and then we’re ready to do a side-by-side look at these wonderful floor cleaning machines! Are you as excited as we are? Type: Most shark vacuum models either come in upright, stick, or canister versions. Upright vacuums are the normal household cleaners, sticks are the light-duty version, and canisters are the heavy duty ones for the most part. Power: This refers to whether the vacuum is powered by an electric cord or a battery. A battery is going to be rechargeable, but it will only have a set run time before it has to be charged again. HEPA Filter: A HEPA filter removes about 99.97% of large particles from the air that gets sucked up into the vacuum cleaner. So a HEPA filter is basically trapping a larger amount of dirt than any other filter. Pet Tool: This is one of the biggest comparative factors. Some shark vacuums come with additional pet attachments that make it easier to pick up pet fur from all corners of your home, as well as other pet debris. Weight: You’ll want to pick a Shark vacuum that is easy for you to move around. Some cordless models are lighter, but honestly, the weight factor depends a lot on personal preference. Pick the weight that feels right to you! Warranty: Make sure that you are covered in the event of a defect or non working vacuum. Fortunately, Shark has some amazing warranties with their products! During the warranty time, your defective product can be refunded or replaced. Now that you know how we’re going to compare shark vacuum models, we can get started! For a small sample, check out our top pick and budget pick first. They are some of the best that the company has to offer! Our Shark vacuum reviews are thoroughly researched to bring you the absolute best products for sale right now! Find the vacuum that’s right for you with our careful comparisons! We want to help you out! So which Shark vacuum is the best? That’s up to you to decide! Our top pick is the Rotator Professional, an electric upright vacuum with a lift-away canister. You can also use this detaching feature for more portable cleaning, and getting into those elusive areas that you can’t reach with the rest of the vacuum. The pet attachment is a power brush that gets dander off of all of your surfaces. The Premium Pet Power Brush is a great pet tool! It has anti-allergen sealing, which means that most allergens are put to rest inside the machine instead of back in your floors! 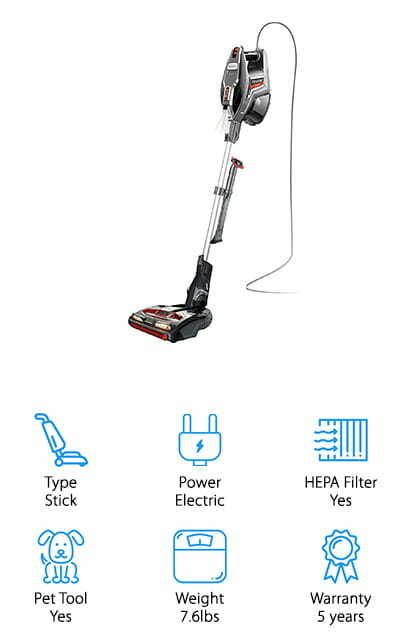 The part that makes this one of the top rated Shark vacuums is, however, the swivel steering for moving around furniture, with LED headlight so you can see under things! We love that there are lights on the front of the vacuum and that it can maneuver around your fixtures with ease. You’ll love vacuuming! On the other side of the spectrum, we have the convenient and inexpensive Rotator Freestyle. Consumer Reports recently rated this exact vacuum the best Shark vacuum for pet hair – from any brand, for that matter. It’s rechargeable, so the cord won’t be getting in your way. It is light enough to be portable, so you can move it around as you see fit! It’s got a brush roll that moves on two different speeds – one for carpets, and one for bare floor options. The nozzle has LED headlights so you can be sure that you’re getting all of the dirt that’s hiding under the furniture! The dust cup has an extra-large capacity, so you can clean for longer without having to charge it. 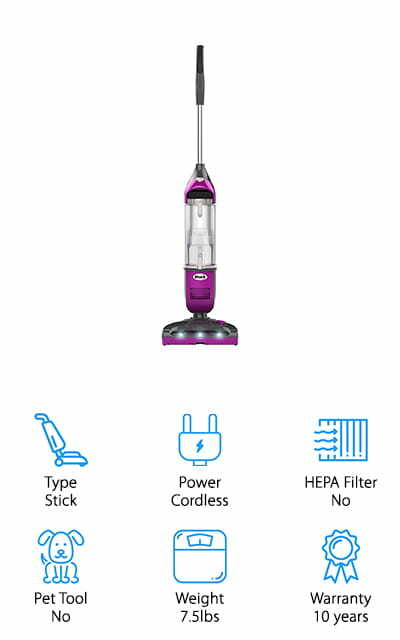 While there is no specific pet tool, this vacuum is powerful enough to pick up hair, lint, litter, and dander with ease. The best Shark vacuum for pets charges in just about four hours. Next up, we have the Shark Navigator Deluxe. 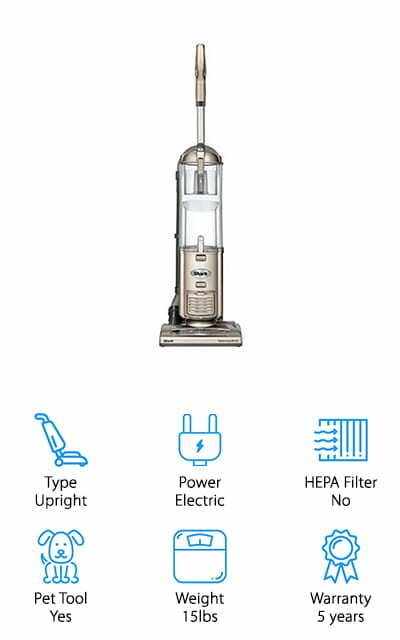 It’s a powerful, lightweight vacuum that still has the power of an upright model. The price point is affordable, and it looks great in the champagne body color! The dust cup is a Large-capacity cup that will enable you to clean a lot of the house before you ever have to worry about emptying it out. Over the course of your cleaning experience, the Navigator Deluxe boasts that it doesn’t lose suction – you can continue to use it to clean your whole house if you have to, and get consistent results every time. Use it for deep carpet and bare floors by just flipping the brush roll switch. We love the versatility! It comes with a tool for cleaning upholstery, the handy crevice tool for getting around the baseboards perfectly, as well as a dusting brush. Our Shark vacuum cleaners reviews wouldn’t be complete without mentioning this model! Which is the best Shark vacuum? We think that the Rotator TruePet might be a contender for that title. It’s Shark’s original entry in the Lift-Away system – a full-sized, super powerful machine that you can detach the canister from, and use it to clean out the harder to reach areas. Who wouldn’t want that? What’s even better, you can do that while the brush roll on the upright portion is still going. That’s power! The controls are right at your fingertips so you never have to search to try and find them. You can easily switch from Carpet Mode to Hard Floor Mode without even having to bend down! Where this machine shines is the motorized pet brush. Different from the other models, it removes stuck-on pet hair and leaves your floors, furniture, and curtains looking their best! The anti-allergen seal keeps those nasty airborne allergens locked away in the HEPA filter and not on your floors! The Shark DuoClean Rocket is one of the best rated shark vacuums for all of the features it includes! The main brush is all bristles, which works to deep clean carpets and pull up that dust and dirt trapped under the surface. It also includes a softer brush roll to get larger things off of your floors and to keep bare floors looking clean and polished. It even comes with a hair-removal tool so you can clean the brushes. They’re really easy to get to! It converts into a hand vacuum as well for cleaning above the floor, so it’s a two-in-one device! Vacuum out your chairs and sofas with ease! There are LED lights on both the floor head and the hand vac so you’ll never miss any stubborn, hidden particles. We love how dedicated this model is to getting your entire house cleaned! 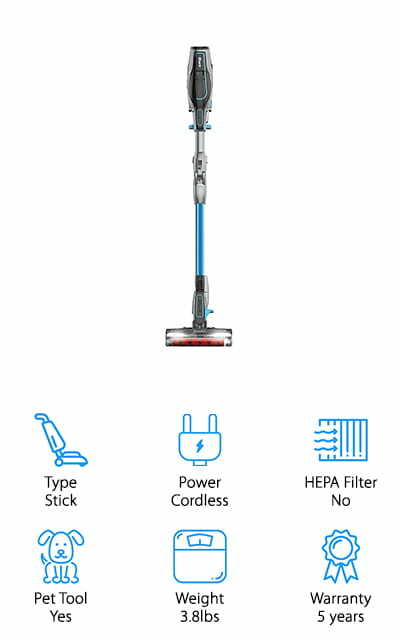 This stick vacuum is so powerful, you’d think it was an upright model! 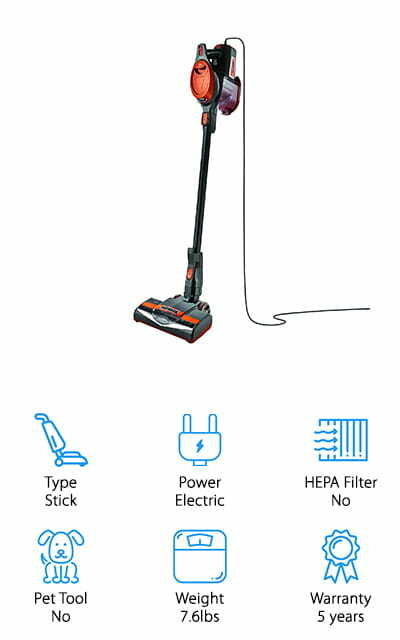 The Shark Rechargeable Sweeper is a great tool for keeping your floors looking great! 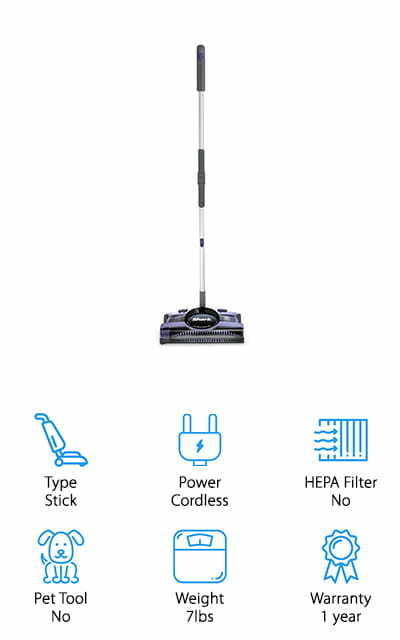 Unlike some sweeper models, this one works great on both carpet and bare floors, no matter where you’re going to be cleaning! It will get all of your debris up, no matter what size or type. It’s got two speeds on the brush roll, and a total runtime of an incredible 55 minutes when charged. It doesn’t get much better! This Sweeper has the swivel steering you’re looking for, which pairs with the lightweight feature to keep it easy to move around and use. The handle folds to save your back, and you can easily get it under furniture because of the low profile. It’s definitely one of the best Shark vacuum cleaners! We love the edge squeegee that grabs things from along the walls and other surface edges. Your home or business deserves its best clean, and this sweeper offers it all! The Shark IONFlex is a beast! It comes with two rechargeable lithium batteries so that you can run it for longer and get your house cleaner than you could just one. Always charge both batteries at the same time for best results (and your best clean)! The DuoClean system comes with a soft brush roll for surface carpet and hard floors, as well as a bristle for getting all of the deeper stuff out of your carpets. In fact, this machine is so incredibly powerful that it’s definitely the best shark vacuum for carpet on our list. Don’t let the fact that it’s a stick vacuum fool you! It easily converts to a handheld vacuum so you can clean your car and other surfaces in your home. The kicker here is the power settings – The Smart Response Technology allows you to adjust your power for the type of floor and severity of the dirt, so no job is too tough! 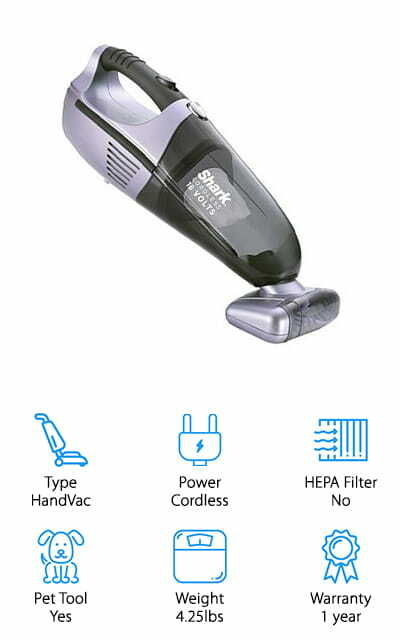 You’re going to have to decide for yourself which shark vacuum is best for your home, but our last offering is a nifty, cordless hand vac. It’s got an 18-volt battery and a wall mount/charging stand. The suction on this model is so powerful that you’re sure to get all of your surfaces looking spotless! Unlike some other hand vac models, this one is equipped with Twister Cyclonic Technology that enables it to deliver consistent power even though it’s a cordless model. We love that Shark has improved upon the basic model so much! Included are a dusting brush and a crevice tool to make sure that everything gets equal treatment. It’s especially awesome for use in your car. Keeps your ride looking nice! The Pet Brush it comes with is motorized, and will pick up pet hair from any surface you need it to, so no more worrying about your pet shedding on the furniture. Shark’s got you covered! The Shark Rocket Upright is not actually an upright vacuum. It’s a stick, so it’s lighter than any of the others. It weighs in at less than 8 pounds, which is astounding to us. The ultra-lightweight design really does this vacuum justice! It can easily convert into a hand vac for just about anything you could think of to use it for, including detailing your car and tougher places in your home. There are micro tools included so you can even get into the tight corners and small edges. There is a setting for hard floor and a setting for carpet, which can be switched with the super simple flick of a button. Everything about his vacuum is so convenient and fun! You can take the Hand Vac out and snap it to the bottom of the wand for extra storage foldability. We love how thoughtful this design is. So what is the best shark vacuum cleaner? This one! Another one of our top Shark vacuums is the Navigator NV356E. There are a few features that this machine has that blends the features of the first two on our list. It’s an upright vacuum so it’s traditionally larger, but it features the anti-allergen seal technology to keep all the nasty stuff from going back into your carpet. It’s lightweight as far as upright vacuums go, which means that it’s a little easier to maneuver than a heavier one. There’s a brush roll shutoff switch so you can use the Navigator on hardwood or tile floors as well. It also comes with a crevice tool to get into those places you just can’t get to. It’s really great on hardwood floors especially and comes with the Pet Power Brush to get all of the dirt, hair, dander, and even litter off of your floor. Pull the canister off and use it to do detailing work on your clean floor!